Susie Goodall's mast was ripped off and her engine failed as she competed in a round-the-world race. 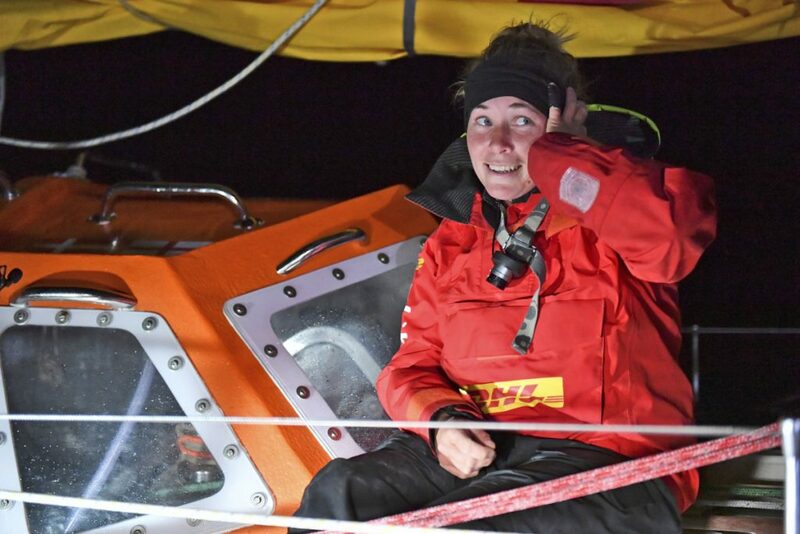 LONDON – A cargo ship on Friday rescued a British sailor after a violent storm ripped off her mast and flung her yacht end over end in the Southern Ocean as she competed in a solo round-the-world race. Race officials have been in regular radio contact with the 29-year-old Goodall, who lost her mast 2,000 miles west of Cape Horn near the southern tip of South America. Her rescue unfolded early Friday, when the Tian Fu found Goodall an hour before daylight. In a message to race officials at 5:15 a.m. Eastern Standard Time, she confirmed that she had sighted the Tian Fu and that sea swells were up to 13 feet high. 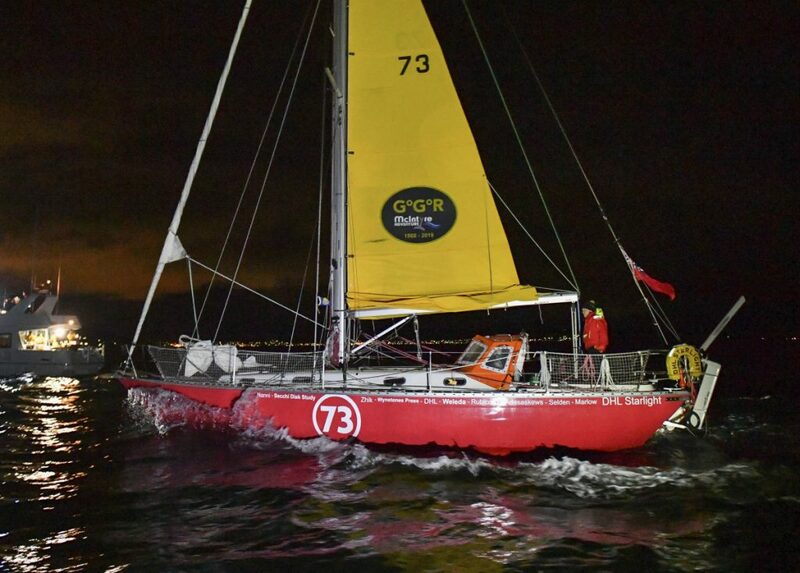 British yachtswoman Susie Goodall sailing her Rustler 36 yacht DHL Starlight on arrival at Hobart, Australia, on Oct. 30, arriving in fourth place in the 2018 Golden Globe Race. She was rescued Friday 2,000 miles west of Cape Horn near the southern tip of South America after a storm damaged and tossed her yacht. But that was only the beginning of her troubles Friday. Goodall’s engine failed and could not be restarted, limiting her ability to maneuver. Without an engine, her stricken yacht, the DHL Starlight, had to drift with its sea anchor before the master of the MV Tian Fu could maneuver the 40,000-ton cargo ship alongside it. Goodall was the youngest entrant and the only woman in the Golden Globe competition that began July 1 in Les Sables-d’Olonne, France. Only five of the 18 skippers who began the race still remain. They are trying to sail roughly 30,000 miles alone, nonstop and without outside assistance before returning to the same French port.